Since this site is about best airsoft guns on the market I thought what would be a better way to start than by introducing the best airsoft gun you can get. Of course this is all in my opinion and experience respectfully but I assure you the gun I’m about to introduce will blow you away (see what I did there har har). Now the first problem in determining the best airsoft gun is the fact that there are many roles and styles of play – the same gun can’t simply be the best for sniping, fire support, CQB and mid range full auto skirmishes – or can it? In all honesty no, it can’t – but what I’m about introduce to you will work better in any role than 99 % of guns out there. The second problem is that there are many different ways airsoft guns operate. Some are spring-loaded, some work with green gas, some are electric and then there’s CO2 and pneumatic air systems. There are even guns that combine some of those. And which you like best is highly preferential. The gun I’m talking about will of course reflect my preferences but it is first and foremost the best airsoft gun for playing, not for showing off (even though it’s a handsome devil). So let’s get cracking! To call an airsoft gun good It needs to have a few key features: reliable, easy to maintain, decent performance etc. To call it the best it has to have a lot more than that and everything about the gun has to be top-notch. The first factor is of course build quality. Most airsoft guns on the market these days are made mostly out of cheap ABS plastic and the cheapest ones are made out of recycled mixed plastics that are so frail that they can fracture and break just by looking at them too intensely. The few metal parts they have usually are made out of low quality cast zinc and nickel alloys that are almost as weak as the plastic. A quality gun will be made out of quality materials: reinforced polymers, metals like steel and aluminum and even natural materials like wood. Even more importantly those materials will be cast, milled and forged in ways that ensure structural integrity and seamless fit of parts and mechanics. Finally, those materials will be finished in a way that both looks good and protects the gun against wear and tear. A quality gun will also have quality mechanics. This includes every single part within the operating mechanism of the weapon regardless of the operating principle. This also includes everything from the trigger mechanism to the bore tightness and quality of the barrel, hop-up, wiring, switches etc. The mechanics in some cheaper guns are made of low quality parts that are not built in any standard set-ups used by the quality manufacturers. This means the gear boxes and other mechanics are easy to break and there won’t be any spare parts on the market so you can’t even fix them. Quality guns use mechanics that are tried and proven and in most cases you can replace every single part if the need be or even upgrade the mechanics with after market parts. To shine in many roles the gun has to be modular. This means it has to have rail-systems for attaching optics and accessories, it should accept many different sized magazines, the barrel should be easy to change and the stock should be adjustable. Power should be easy to adjust for different roles. Well built guns always have a certain heft to them. They are usually heavier than cheap plastic ones but this should not be a problem in most situations. It means they are durable and most normal sized guns are easy to wield for the average sized player. Exceptions are some very high quality WWII replicas and some machine guns that weight so much that they’re a burden and will slow you down on the battle field. So a good gun from purely playing standpoint won’t be too heavy to handle efficiently. Main battle weapons: This is what I like to call you run-of-the-mill AEG assault rifle or sub machine gun. These weapons perform very well in most situations on the battle field but don’t really shine on any. Best in fast paced mid range combat that requires full auto capabilities for suppressive fire. In this role it’s a balancing act between power, firing speed and maneuverability. The power should be high enough (usually around 1.5 J) for decent range yet not too powerful to make close combat dangerous. That’s why there are usually power limits in games for main automatic weapons. Firing speed should be decent but not too high as this will usually just lead to shortage of BBs without any real advantage. It doesn’t really matter if you hit the guy with 3 or 6 BBs when you’re spray gets there since airsoft is mostly a one hit game. Maneuverability is really a compromise between barrel length and accuracy. Generally shorter barrels mean less accuracy. Due to physics related to hop up and smooth barrels this is not always completely true but in most stock guns it is. Shorter guns are of course lighter and easier to handle in tight spaces. Other important qualities for this role are durability, reliability and ease of maintenance since these guns will usually see a lot of action. 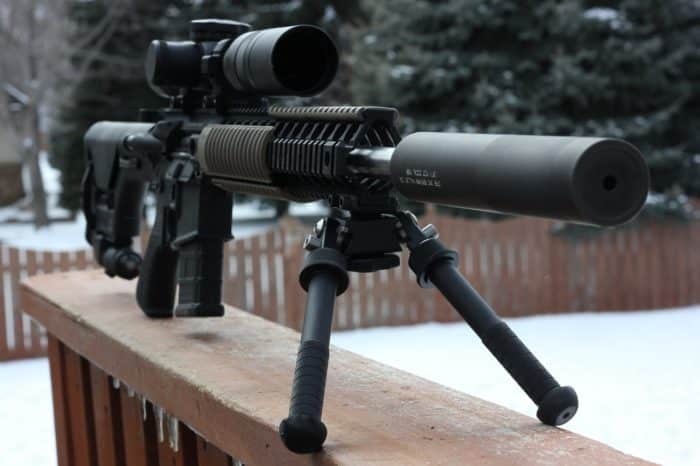 Sniper rifles: Long range, accurate and powerful are the terms that best describe an airsoft sniper rifles qualities. Sniper rifles come basically in two variants. Probably the more common being a spring powered bolt action. These are usually very powerful and accurate at long distances but slow to reload and cumbersome to wield. Generally they require the most skill and the playing style of a “true sniper” to be effective. There are also gas operated and pneumatic bolt actions but they seem to be quite rare. Bolt action rifles usually have muzzle energies between 2 – 3 J and should not be used at close ranges due to risk of serious injury. The second sniper variant is a DMR or designated marksman rifle. These are usually semi auto AEGs or gas operated rifles equipped with magnifying optics. Muzzle energies are usually between 1.5 J and 2.2 J. They are a bit more versatile than bolt actions and close the gap between true sniper rifles and assault rifles. In sniper rifles the build quality is extremely important. For an airsoft rifle to be accurate up to distances of 100 meters it requires very consistent operation of the firing mechanism since accuracy is highly dependent of even muzzle velocities. And there obviously can’t be wobbly barrels or sticky triggers if you intend to hit anything over 50 meters. Fire support: Fire support essentially means machine guns. High rate of fire, high range and power and ridiculous ammo capacity. These can be modified assault rifles or dedicated machine guns. They are generally higher power like DMRs and not meant for close combat. The idea is to deliver lots of BBs far away so you’re mates can advance while the enemy is keeping their heads down. So power requirements are similar to DMRs but fire support weapons are full auto and usually very high RPM (round per minute). Accuracy is not nearly as critical as on sniper rifles but the combination of high power and high firing rate require a lot from the gear box, motor and the battery. Oh and they are almost always electric weapons since firing thousands of rounds of BBs in one game can get very expensive with gas on compressed air. CQB: The final role is of course CQB or close quarters battle weapons. Generally these need to be short, low powered and reliable. The best weapon types suited for CQB are obviously submachineguns short assault rifles and pistols. CQB weapons are generally the least demanding when it comes to quality since the firing distances are short and accuracy isn’t that important. However, reliability and things like smooth magazine changes and properly functioning selector switches become more important as reaction time is much shorter in close quarters and there is less room for mistake so quality does matter. There are usually power limits for CQB battles since the firing distances are short and potential for injuries and pain is high. Usually the power limit is around 1 J. Now before I introduce the best airsoft gun around we have to look at the most common operating principles that we can choose from. Spring powered: Spring operated airsoft guns are generally cheap toy guns but there are also high end spring-loaded guns like sniper rifles. The principle is simple: A spring is cocked using you’re muscles and when you pull the trigger the spring is released and the stored energy used to push a BBs down the barrel. Pros are simple construction and no need for external power source. Cons are slow firing rate and interruption of aim while reloading. 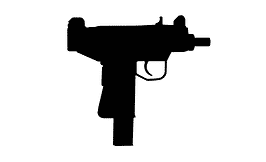 AEGs: Automatic electric guns are battery operated semi or full auto guns. Pulling the trigger the battery turns a motor that turns a gearbox that has a piston and spring that are used to propel the BBs down the barrel. Pros are cheap source of power (electricity), automatic fire capability and relatively reliable operation and easy maintenance. Cons are a very complex construction, not very realistic firing experience and reliability issues in cheap models. Gas: Gas operated guns have a small pressurized gas tank usually in the magazine and sometimes in the frame or stock of the gun. When you pull the trigger a small amount of the gas is released to propel the BBs down the barrel. This is usually done by a sort of hammer and pin valve mechanism which results in a very realistic firing experience. Gas guns can be semi or full auto and they can have a blowback system. Blowback system mimics the recoil and reloading cycle of a real firearm. In pistols the slide will kick back and in rifles the bolt will cycle. Pros: As realistic firing experience as you can get with a toy gun, fun to shoot. Cons: Gas is relatively expensive, weak operation in cold weather. Some of the gasses can also be hazardous to the environment and health. HPA (high power air) / pneumatic: HPA guns are getting more common these days. They are either completely mechanical and work like gas guns or they can be electrical and use a battery to drive a modified AEG gear box that controls the air valve. Pros: Simple operation and realistic firing experience, ability to control muzzle energy by pressure regulation Cons: Need a bulky air tank with a regulator that is a hassle to refill and is potentially dangerous if compromised. So now that we have a somewhat good understanding of what makes a good gun, the roles on the field and what are the pros and cons of different operating mechanisms it’s time to list the criteria for the perfect gaming weapon. This is where it gets a bit opinionated. Top notch build quality inside out. To be modular to accommodate any role. An operating principle that can meet the requirements of all roles. So we will have to rule out any cheap manufacturers with quality issues. We will also have to rule out certain types of guns like full sized rifles and machine guns since these won’t work well in CQB. We will also have to rule out spring operated guns as most roles require automatic fire. Let me introduce the gun that meets all the above criteria. Well at least most of them, you can’t really have it all. Not without modifications. It is a top tier AEG in the mid size AR-15 configuration. What’s really remarkable about this gun is the build quality and quality mechanics inside the gear box. It has a quick change spring guide which allows very fast spring changes. The gearbox will easily handle springs up to m150 range which means it can be converted in to a DMR simply by swapping the spring (this will usually void the warranty FYI) and disabling full auto (if required by you’re local rules for DMRs) and adding a scope. For support role adding a bigger LiPo battery (for fire rate and endurance) and a hi-cap drum mag with the spring is all that is needed. Cqb requires just a weaker spring and you’re good to go. The frame is fully modular with rail system on upper and lower receiver and fully adjustable stock. The barrel can be changed to longer or a shorter one (you will of course have to buy one) but there’s really no need. It even has a MOSFET installed so you don’t have to worry about trigger issues or problems with higher voltage batteries. The best thing about the weapon is it based on the very popular AR-15 frame and Marui mech box V.2 design. This means that there are endless amounts of after market parts and accessories you can use to modify the gun. But in all honesty it’s so good from the box that you don’t need any mods. Just load ‘er up and have fun! Well there you go. The best airsoft gun you can get at the moment for overall performance and modifiability out of the box. If you had the patience to read this far I hope you liked the article. Do you think my choice of the best airsoft gun was right or do you disagree? Drop a comment below in either case!